Most of the ingredients for a classic chai spice blend are in your pantry already. 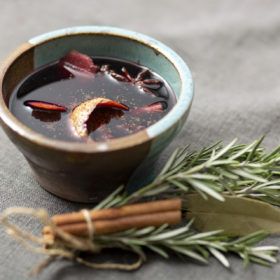 Just add tea, cream and brandy for this perfect cold-weather cocktail. Nothing says “warming winter flavors” like the taste of classic chai spices. Cardamom, ginger, cinnamon and cloves meet golden Assam tea and a touch of cream for a latte-like beverage that pairs perfectly with a healthy splash of brandy. 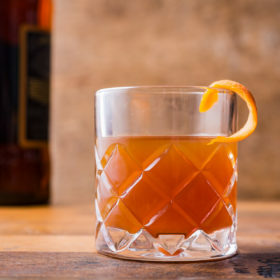 For good measure, try preparing this chai hot toddy with one of the new spate of American brandies hitting the market—these bottlings will add a unique dimension to your drink, in addition to being great in a snifter on their own. Combine brandy with hot, steeped tea. Add the chai spices and allow to sit for 2 minutes. Strain the liquid, reserving cinnamon stick for garnish. Add the heavy cream, stir and serve.